Leaking flat roofs damaged wood framing and structural hardware, causing structural failure in some areas. Repairs were executed while litigation was in progress, resulting in added scrutiny from disparate parties with opposing interests. Reconstruction around actively operating businesses—some of which were sensitive in nature such as medical facilities and a call center. Nautilus was hired because we presented a competitive bid, and because of our successful history working on other projects with the owners and attorneys. They knew we were a trustworthy, knowledgeable partner who would objectively advise them on the repairs recommended by their forensic architectural consultant, and would propose alternative repair methodologies when appropriate. To ensure the businesses remained safely functioning during the reconstruction, we worked our schedules around their needs, often including weekends and late nights. 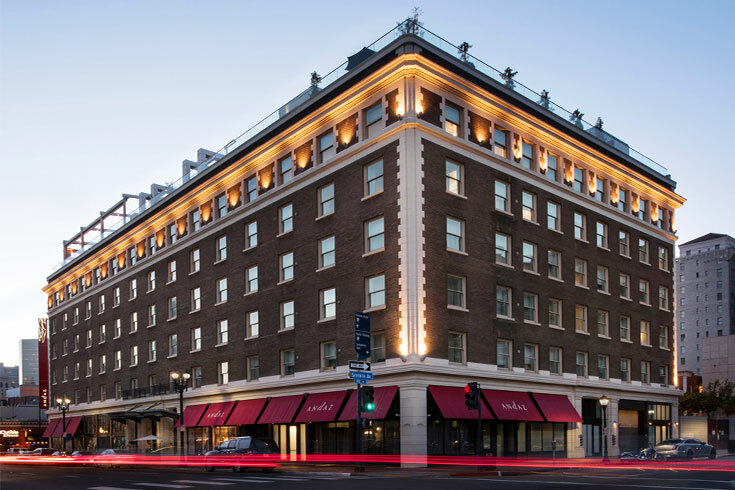 Reconstruct a fully operational, historic hotel with minimal guest disruption. Large team of experts from the client’s side. 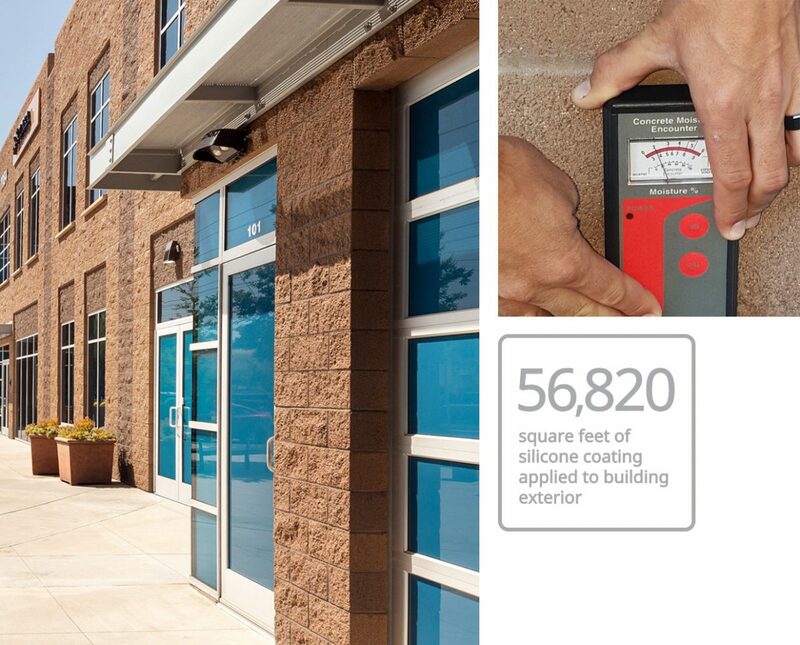 Numerous construction deficiencies and escalating responsibilities, including specialty installations. Fast-paced, inflexible deadlines to accommodate guest and event reservations. 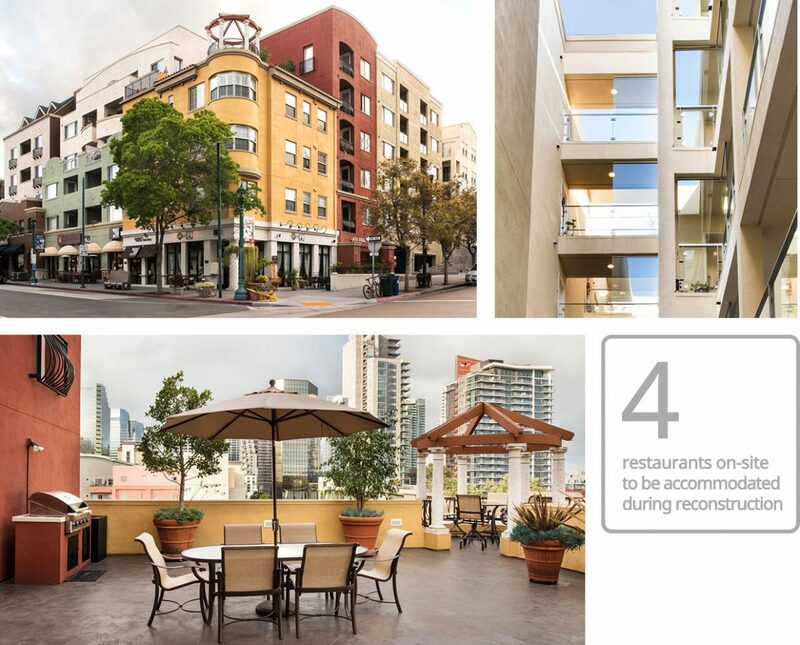 This project required an adept and flexible Nautilus team as we worked with an evolving team of lawyers, managers, owners and designers to deliver a stellar outcome. 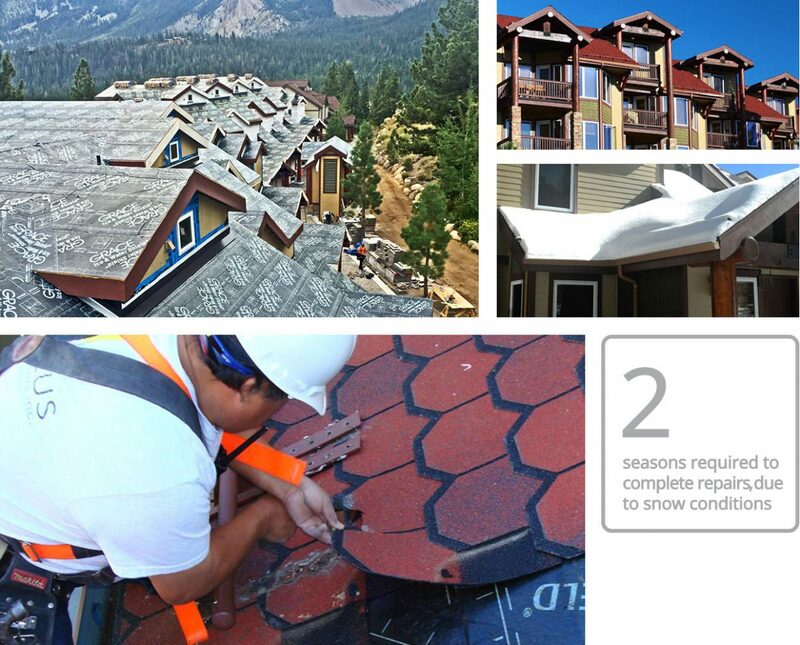 From on-point cost estimates, minimally intrusive destructive testing, discreetly executed construction repairs, to innovative solutions that include a sound wall as well as a custom, retractable roof, Nautilus built confidence each step of the way and became the client’s go-to contractor and problem solver. 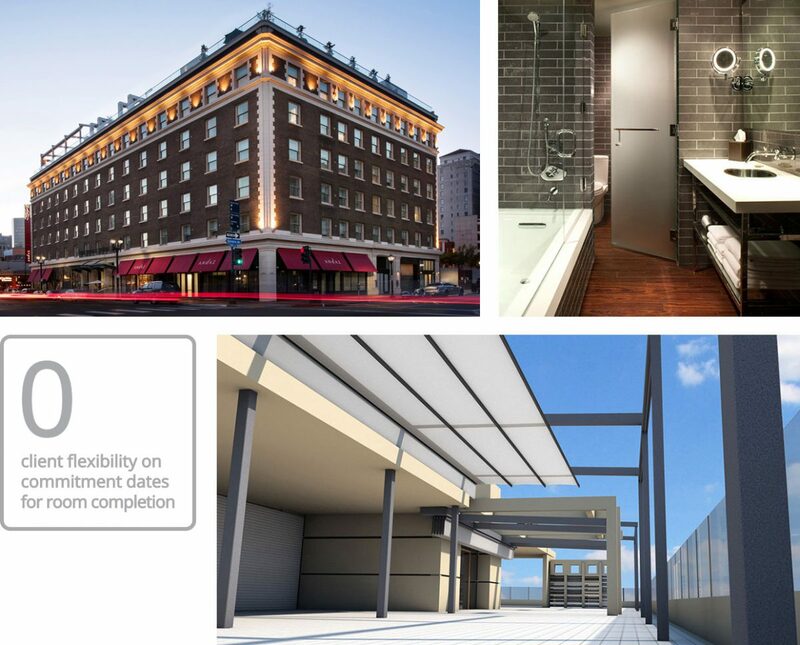 Complete redesign and renovation of lobby and repair of multiple defects within a high-profile, high-end building located on a tight urban site. 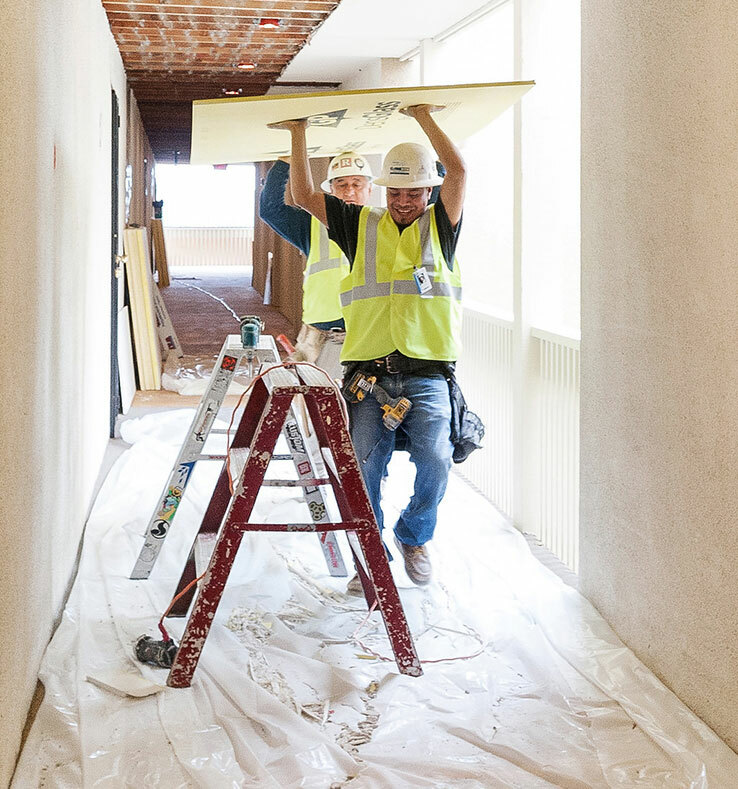 Required careful balancing between sensitive project budgets and construction priorities to ensure smooth running and completion of project, while keeping tenant disruption to a minimum. Nautilus was hired solely based upon our interview with a highly exacting Board, to whom our resume of experience and education was extremely important. In addition, they were looking for a team who could interface well with a demanding demographic, and who would take extreme care in preserving the high-end units throughout the process. 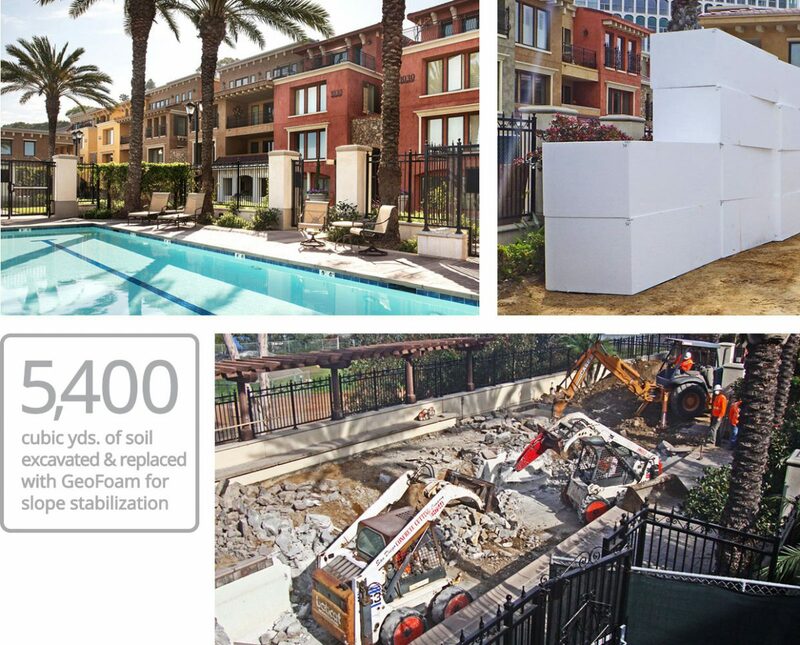 From extensive waterproofing, to the removal and replacement of a cooling tower atop the high-rise, we have been consistently supported by the HOA to make proper and lasting repairs. 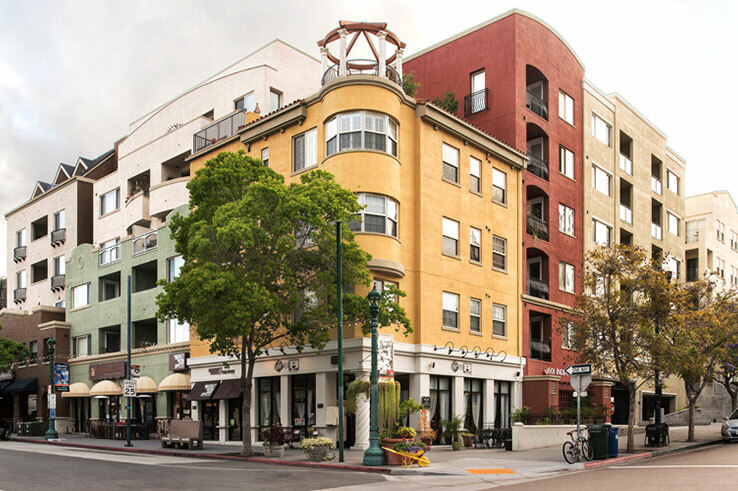 Project was located away from Nautilus home offices, requiring qualified local subcontractors to complement our labor force and solid project management and supervision. 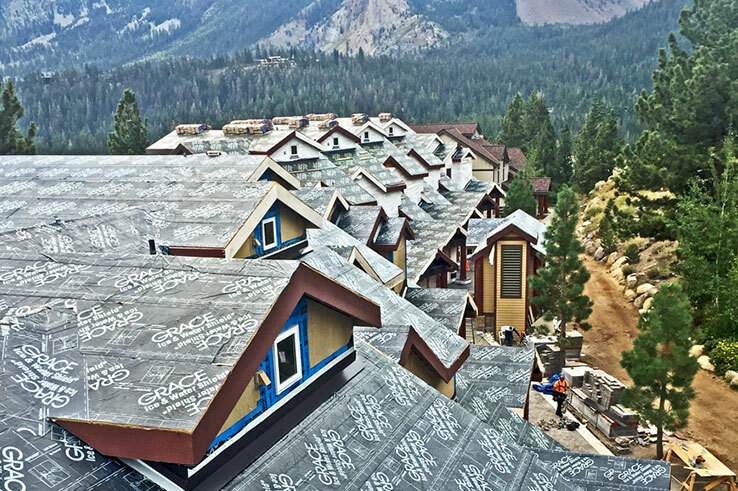 Because of the exterior exposure of the repairs, we had to aggressively schedule the work between the winter snow seasons. Nautilus’ initial involvement in this project was unique in that we were hired as experts for the defense. By providing realistic, guaranteed estimated costs for the plaintiff’s claims, we were instrumental in the resolution of the case. 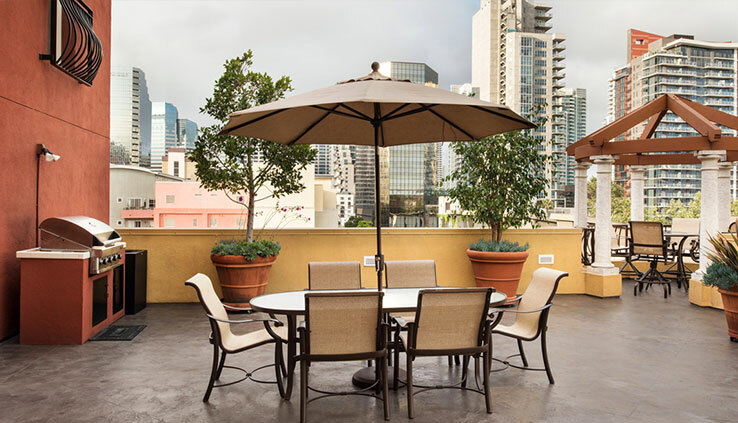 Post-litigation, we were interviewed by the plaintiffs and then hired as both the reconstruction architect and contractor because of our industry experience. Our system of work and communication tools ensured that the remote work was done to Nautilus’ standards. 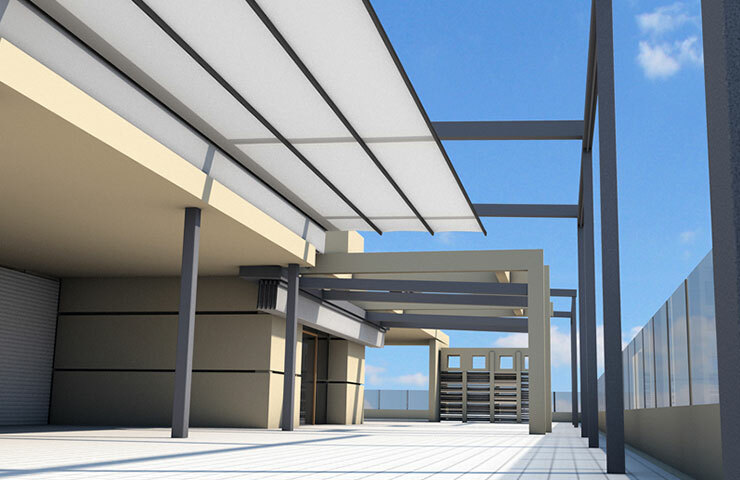 The successful completion of this project led to several new consulting and reconstruction projects in the area. 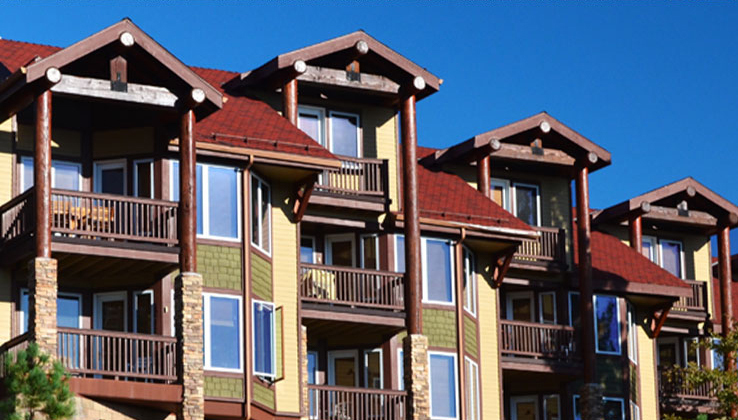 Aging condo complex with building systems reaching the end of their useful life. 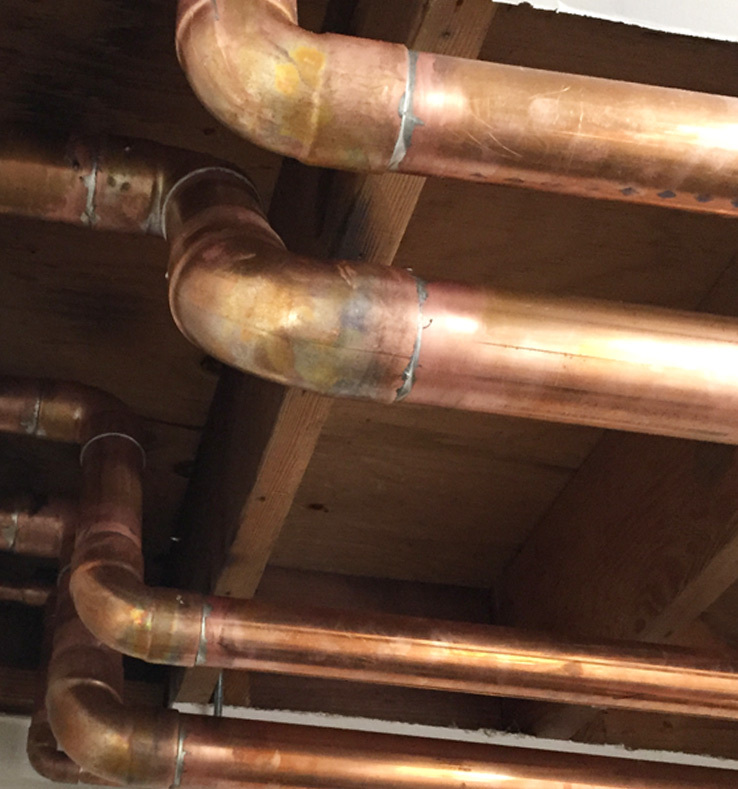 History of progressing plumbing issues within a copper water system that lacked shut off capability to individual units, floors or plumbing stacks, requiring an intricate phased approach to minimize water service downtime for residents. Nautilus was brought in based on our successful completion of a previous challenging with one of the Board members. We provided expert advice over the course of four workshops that included Board members and a team of construction professionals. This led to an investigation, analysis and eventual repair concepts and design. 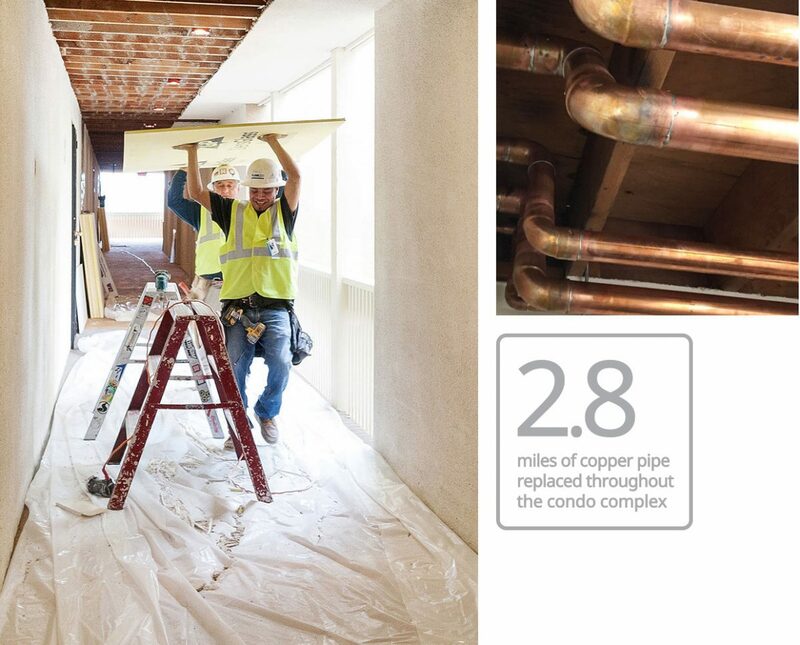 Our main task was the complete replacement of the copper potable water lines, but we also upgraded lighting and fiber optics at the same time. We first completed work on one of the five buildings as proof of concept, which led to the approval for Nautilus to reconstruct the remaining four. Plaintiff’s high cost of repair hampered litigation settlement. High-end project with residents that had costly artwork and furnishings. Required skillful interaction to find middle ground between plaintiffs, defense and high-profile residents. 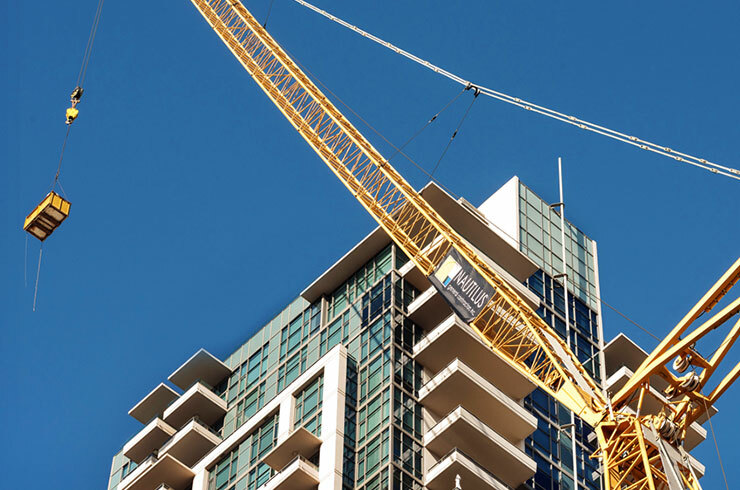 Extensive repairs including critical geotechnical, architectural, plumbing and mechanical repairs on a very compact site. 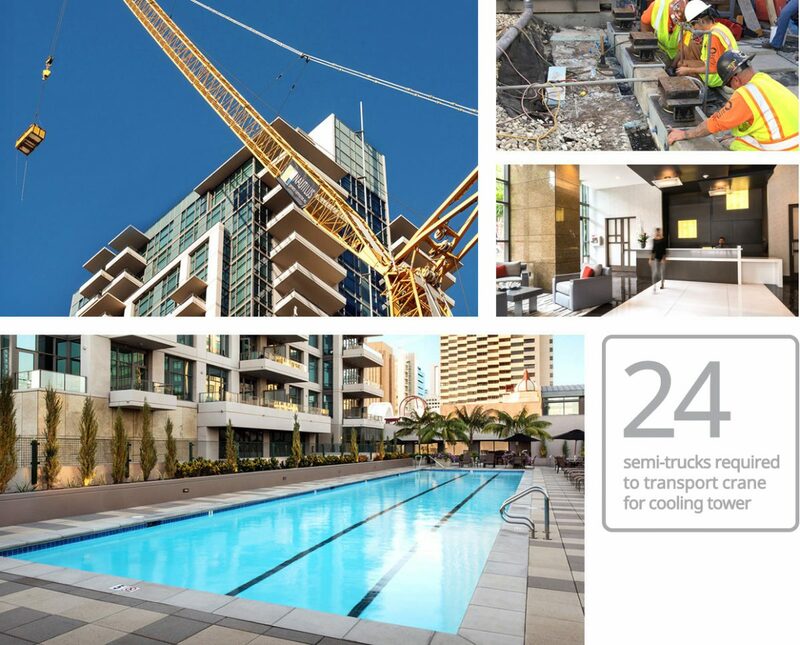 Nautilus was initially retained as a neutral expert, nimbly working with the teams from both sides—forensic architects, plumbing/mechanical and geotechnical experts, cost estimators, lawyers—to develop out-of-the-box, middle-ground repair solutions that were instrumental in getting the litigation settled. 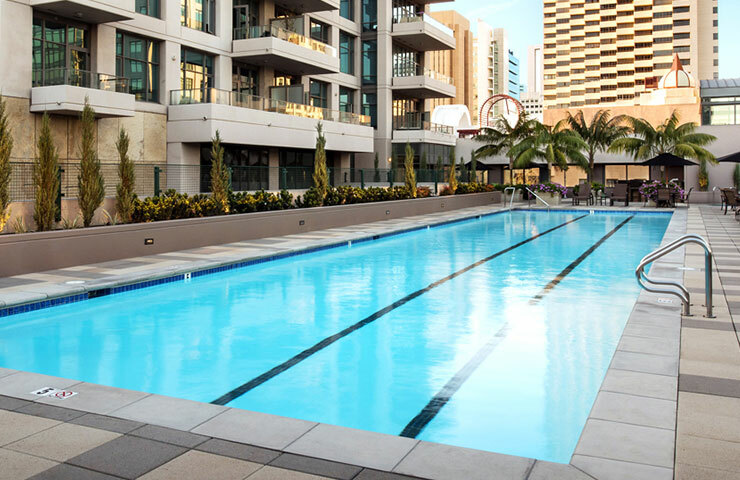 Post litigation, Nautilus was hired as the reconstruction contractor prior to bidding the work, which was a testament to the client’s trust in our capabilities. Beyond reconstruction, we created a meticulous work plan that maximized efficiency and minimized the impact on residents.